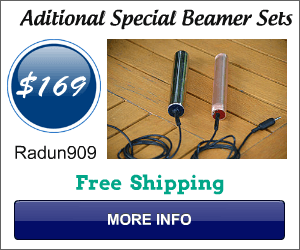 The Rods of Oneness can be likened to Egyptian Rods and Rods of Ra. 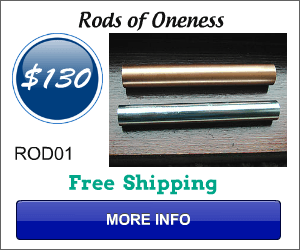 The Rods of Oneness were used in Ancient Egyptian times to assist in building connections with the Divine Creator, with the soul within and the many planets and light beings of the universe. The Rods were given to humanity by the Sirian beings, who created the Rods as a tool for communication, projection and visiting other dimensions. The Rods assist the user in attuning to Sirian wisdom and enlightenment as well as encouraging and enhancing an ability to connect and integrate with numerous aspects of the Creator’s light. Comprising of a masculine and feminine energy or a Yin and Yang energy which can assist in bringing balance between these energies within the brain and therefore the reality. The Rods aid a connection between the left and right side of the brain which assists spiritual development and an expansion of your awareness. The Rods can be held during meditation or spiritual connections and work with greater intensity when your hands are wet or place in your armpits. The Rods assist in bringing balance to your energies, accelerating your spiritual growth and awareness, reconnecting you with your soul, aiding integration with guides, new energies or qualities of the Creator, assist in deepening your connection with the Creator and empowering your ability to link into consciousness, dimensions, planes and planets. The Rods will assist you in empowering and integrating with your intentions, focusing upon connection, discovery and blending of energies, bringing a greater freedom and understanding to your being and growth.